When a new video game is hyped up, aspects that are often highlighted include the quality of the graphics and the hot new gameplay features. So, why do people continue to go back to The Legend of Zelda: A Link to the Past or the original Super Mario Bros? The boom in remasters and remakes demonstrates just how common this feeling is among gamers. If you think about the age you were when you played your all-time favorite game, it was probably when you were a kid or a teenager. Powerful memories are made when you’re this sort of age, and the things that you loved then will probably still bring joy to you a couple decades later. Kids who played Super Mario Bros. in 1985 on their NES are now in or approaching their 40s. 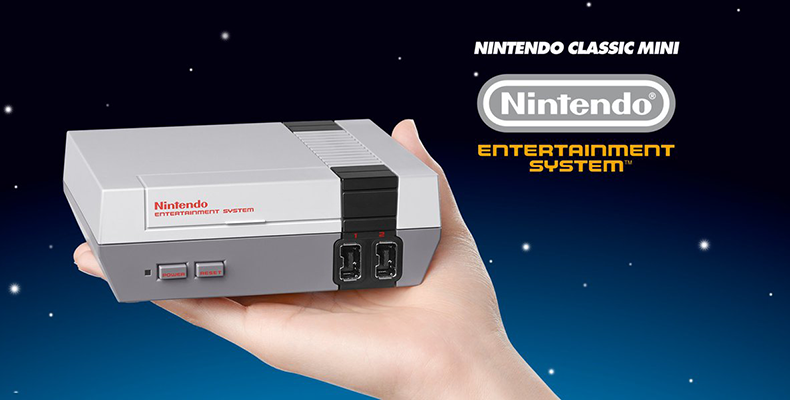 In your 40s, you likely now to have the money to spend on nostalgia purchases such as a Nintendo Classic. Another thing to remember is that many of these games are classics that are still enjoyable to this day. Retro gamers highlight only the best games or the ones that they had the best time with. Games such as Street Fighter 2, DOOM and Super Mario 64 may not look as groundbreaking as they did when they came out, but they still play just as well and are still as immersive as ever. A game like Aliens: Colonial Marines is unlikely to be revisited with reverence by gamers in 2030, but the classics are played again and again for a reason. No one thinks that Citizen Kane is terrible now because Orson Welles didn’t use CGI to make himself look older, and people still play live casino games – the classics will always be classics. Think back to gaming in the 80s and 90s. Tomb Raider didn’t come out broken and then have to be fixed later on by a downloadable update. Quake didn’t have in-game microtransactions for you to get the edge on your competitors. Mega Man didn’t have DLCs and add-ons for you to spend more money on. The advent of online functionality and modern business models has changed the way games are sold and played, and it’s understandable to look back at the simplicity and innocence of retro games with genuine fondness. Just like with several other kinds of old thing, games can be collected. Collectors have either hoarded games they bought at the time or have bought old titles to complete collections that they will display proudly and perhaps sell on for thousand of pounds. People have the same reverence for games and consoles that they do for old cars. All aspects of the game, including the packaging and the instruction manual, can be pored over and checked for condition and quality. Gaming has been popular now for over 30 years, and just as incredible new games will come out, older games will return to the limelight as generations come of age. Older games teach us about how the games industry got to be where it is today, and are historical documents in their own right, showcasing passions and opinions from the time they were made. Also, firing the super shotgun in DOOM II will never get old!